27th November 2011 – Putting electricity wires and connections took most of the day. I had to stop a few times to alter my schemes. Maybe I should have written it down before starting. 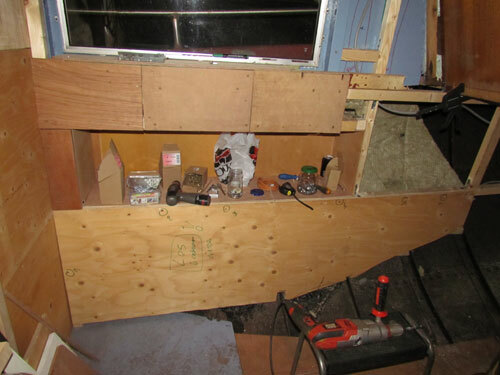 26th November 2011 – I’m planning to finish the bathroom by the end of the month. I still need to build a frame for one side, put insulation and cut the sheets of multiplex in the right size. Electricity and plumbing also needs doing. By the end of the evening, most wood work was done. 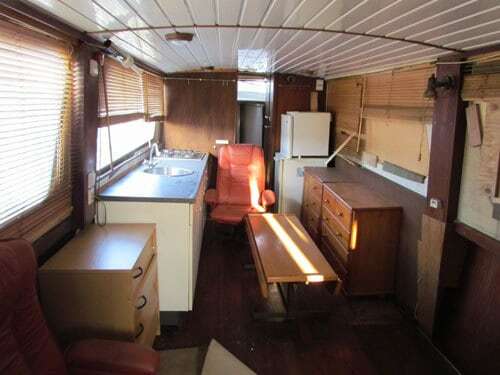 Next Friday, I will have my two new water tanks. They will come in the front of the boat in the bathroom. I have chosen this area, since all water pipes are on a short distance. The boiler an pump are also in the same room. This makes it easier to manage if something would go wrong. The water tanks will come on a small stage. The stage connects the bulkhead to the floor in the bathroom. 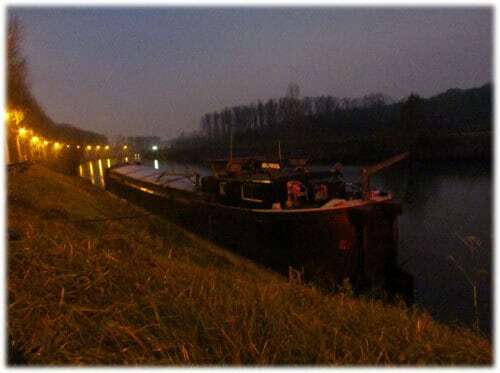 23rd November 2011 – The last part of the journey, from Beernem to its mooring in Bruges. Sadly enough the engine wasn’t to stable and by the time we arrived it was dark. 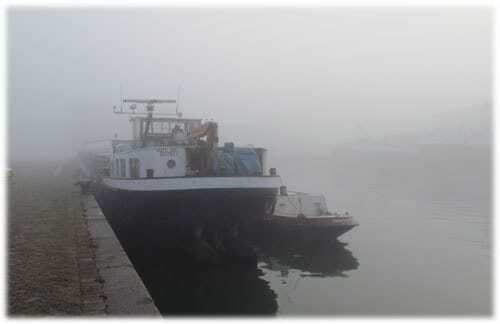 20th November 2011 – It was to much fog to continue our journey. So I returned home in the afternoon after taking some pictures and talking with some local skippers. The skipper gave me his car. He will pick it up when he is in Bruges with his ship. 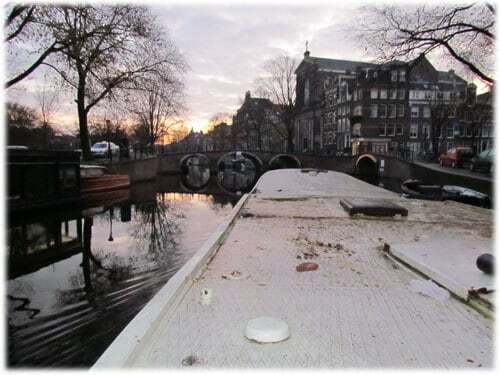 19th November 2011 – We left Amsterdam at 7 o’clock in the morning. The ship was moored in the Prinsengracht. After one hour we were near the Scheepvaartmuseum. I spent most of the time watching around and taking pictures. The Carpe Diem was designed to fit underneath every bridge in Amsterdam. 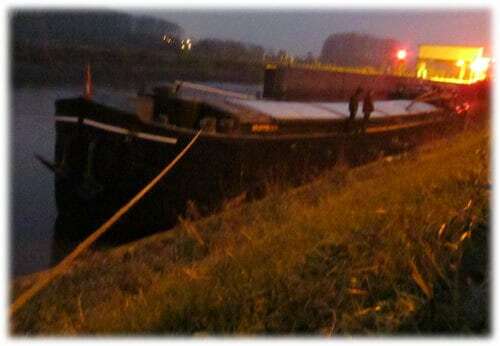 At 9 o’clock we were picked up by the kempenaar Harte Aas that would bring us to Rotterdam. 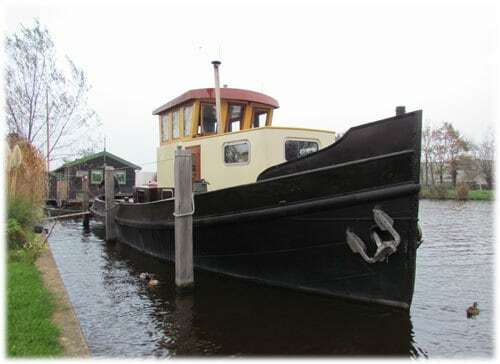 Later that evening we arrived in the Merwede harbour. 18th November 2011 – Leaving early for Amsterdam doesn’t necessarily mean you get on time. Our train had two hours delay because of an accident. We decided to take the bus to Antwerp and then continue by train. We had a good meal in the Restaurant De Fles in Amsterdam. Aboard we went to bed, since it would be a heavy day tomorrow! 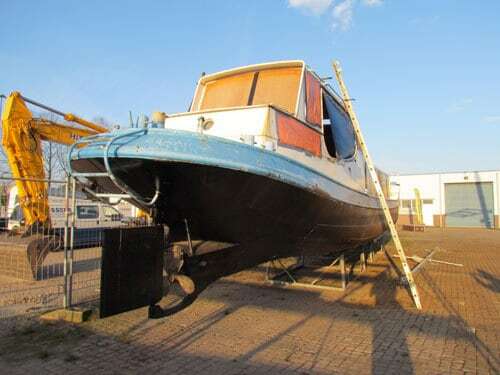 17th November 2011 – Since we will have to move the boat before Monday, it needs a lot of preparation! This was done today. Since my experience with the Frantsis, Escapade and the Hornblower, it seems like an easy job. Certainly when you are with two people to do the job. 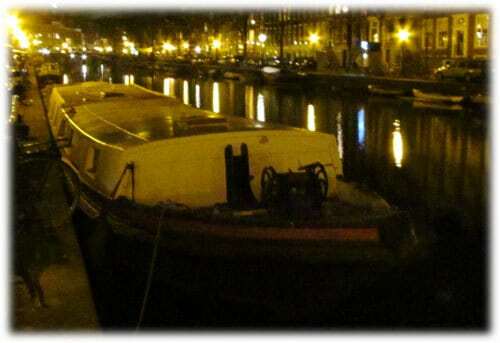 16th November 2011 – I went to see a boat in Amsterdam in the evening. After work I drove to Amsterdam to visit a snik / pakschuit. It was once owned by a Dutch painter. 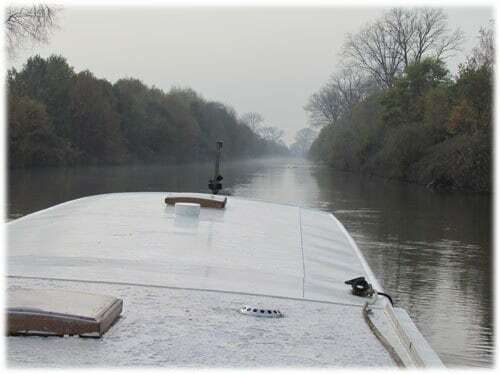 12th November 2011 – In the morning I went to see another boat for somebody. In the afternoon I started working. 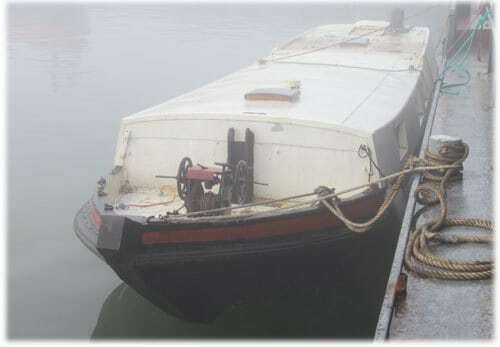 The first job was making sure the anchor winch would turn again. Later I worked on the heater, fitting the chimney and fuel pipe to the tank. In the evening I mainly spent some time in the bathroom. 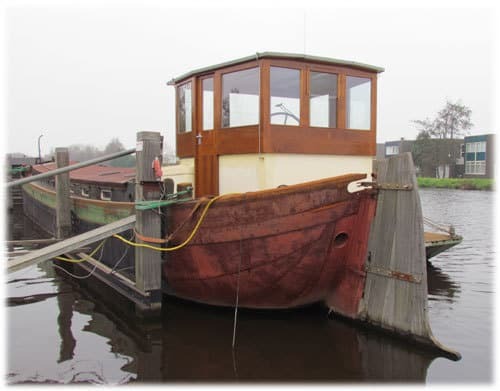 12th November 2011 – The good thing of visiting several boats a month is you get an idea on how different people convert different vessels on their own way. They ship I visited today was a rebuilt beurtschip like the Frantsis. Her bow was raised like the Hornblower. The price was a little high and there was to much work. It was moored next to ship where there had been an explosion. So all the windows on one side were gone. 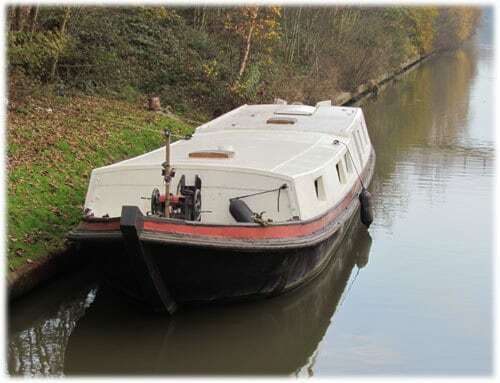 7th November 2011 – The first day was a success for that spits barge I was working on yesterday; They made it reasonable far. Another day tomorrow and the ship is on its mooring. 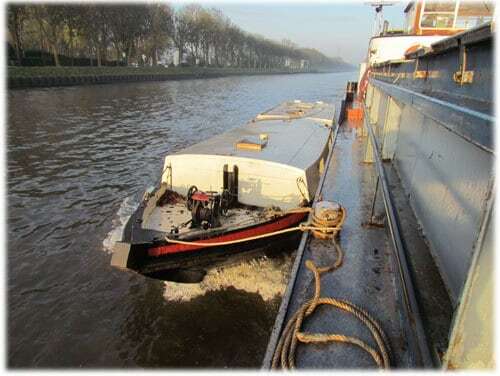 6th November 2011 – Already since I had the ship I was looking for a small anchor winch. 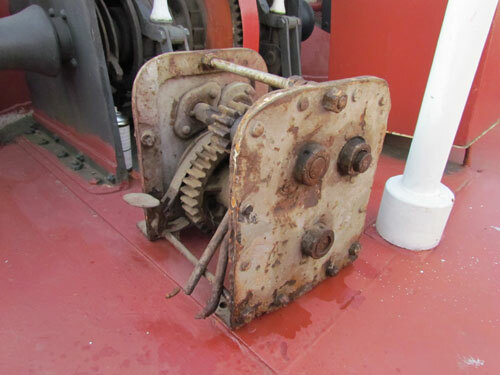 On Internet we found two winches for the leeboards of tjalken. They were for sale in Amsterdam. On arrival, I discovered the man was selling heaters. So I did buy one while I was there. It is a nice big Heatpol. The other winch will go to the Frantsis. 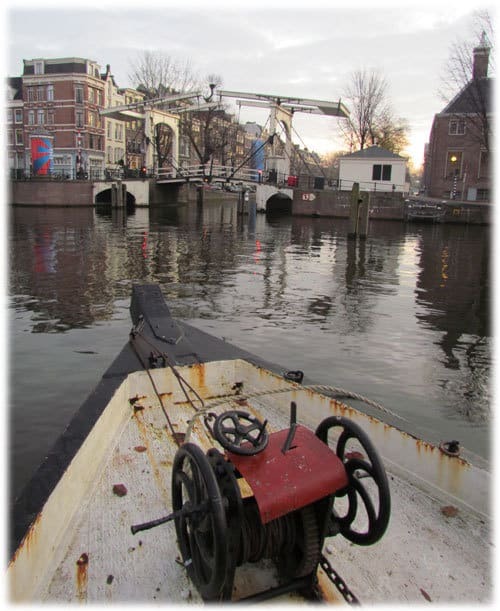 6th November 2011 – I was near Amsterdam today for picking up an anchor winch and a heater for the Hornblower. 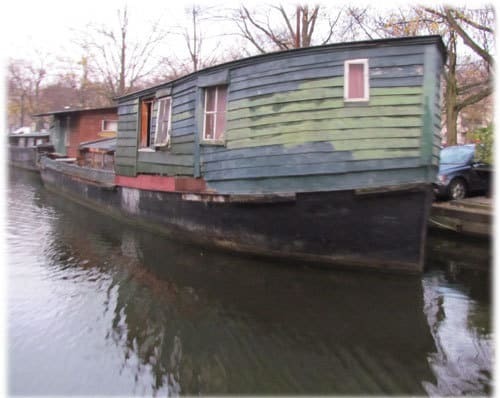 While I was there I took some pictures of a few houseboats. 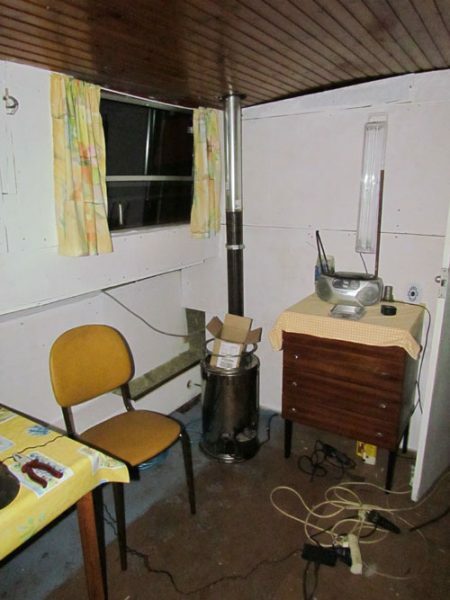 3rd November 2011 – I have a small room that is suitable for the bathroom. I built the first ribs for the inner walls. The shower is 70cm by 70cm, every wall is 8cm thick. I have 54cm left for the toilet. It is just enough, but I wanted some more space. This is often a major problem on these vessels. They are only 3,2m wide! The most work in the bathroom is the planning and the plumbing. I’m not sure yet when it will be finished, but I doubt if it will be the end of the year! 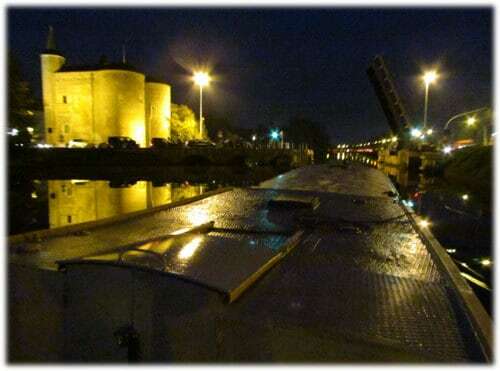 3rd November 2011 – I went to the Federal Office for the paperwork of the Hornblower. Those people were looking confused when I told them I wanted to register my yacht from 1901. 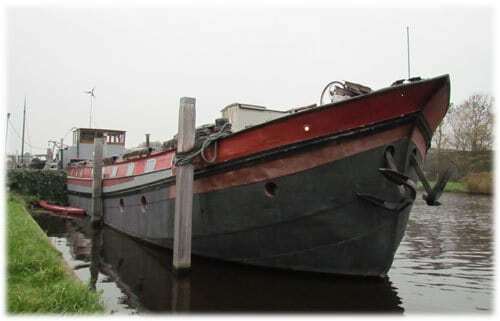 The term ‘Groningse snik’, the type of vessel, was new to them. I showed them a picture and they started laughing.